The Adams XTD iron features an industry-first cross-cavity design that makes poorly-struck shots stay on line better than ever before. The center of gravity is moved off of the face, creating a gear-effect similar to that found in hybrids creating corrective spin that keeps the ball on its intended path. The cut-thru slot technology increases forgiveness and improves distance. 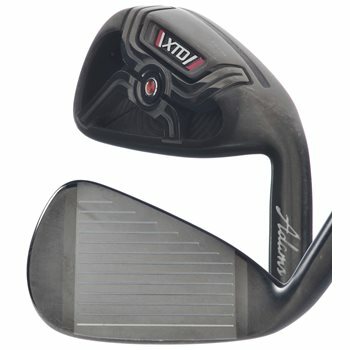 It also features pressure piston that decreases vibration as well as improved pressure on the back of the face that creates the crisp sound of a forged iron. Lastly, it features improved alignment through a contrasting face design to allow easier alignment to your target.